Segregated cycle lanes are putting patients’ lives at risk because they prevent traffic moving out of the way of ambulances, medical leaders have warned. The College of Paramedics said the new model of kerbed lanes, which are fiercely supported by cycle safety campaigners, leave drivers nowhere to go when they see blue flashing lights behind them. For some of the most critical emergency patients, such as those suffering cardiac arrest, every minute added to the time it take to reach hospital can significantly reduce the chances of survival. The College on Friday called for town planners to re-think the introduction of fully segregated lanes in order to allow better traffic flow in congested city centres. ​The City of London Corporation is introducing an experimental traffic scheme from 1 October 2018 on Aldersgate Street. Read the documents below and send us your comments by 1 April 2019. The City of London is suspending the ban on U-turns for northbound traffic on Aldersgate Street at the junction with Fann Street on an experimental basis. Residents in Fann Street and ward members have informed the City Corporation that vehicles traveling north on Aldersgate Street are using Fann Street to change direction and travel southbound due to the ban on U-turns at the north end of the central reservation in Aldersgate Street. Vehicles are making three types of movement to be able to travel southbound. Smaller vehicles and those with a small turning circle are able to turn within the mouth of Fann Street. Other vehicles, including smaller vehicles, either make a three-point turn in Fann Street or travel further into the street to use the entrance to Bunyan Court car park to turn. Three unusable water cannon bought by Boris Johnson when he was mayor of London have been sold for scrap, at a net loss of more than £300,000. Johnson bought the crowd-control vehicles from the German police in 2014, in anticipation of social unrest, without checking whether they could be used on London’s streets. In one of his most humiliating episodes as mayor, the then home secretary, Theresa May, banned them from use anywhere in England and Wales. It left the capital’s taxpayers with three expensive white elephants. The current mayor, Sadiq Khan, pledged to claw back as much money as possible on the redundant vehicles by selling them. But after almost two years the mayor’s office admitted defeat in its attempt to find a reputable buyer. It announced on Monday that it had agreed to sell the vehicles for just £11,025 to Reclamations Ollerton, a scrap metal yard in Newark, Nottinghamshire. The fee recoups 3.4% of the £322,834.71 spent on the vehicles since 2014. The 25-year-old vehicles cost £85,022 in 2014, but they were found to be riddled with faults and required expensive modification to make them roadworthy. This included £32,000 to comply with the city’s low emission zone, and almost £1,000 on new stereos. I am writing in relation to the incidents that have been taking place in the Lissons Grove area such as making off without payment, thefts, robberies and criminal damage to vehicles. I am requesting your assistance in sending out messages to drivers and also in trying to gather information/intelligence. Can you please encourage drivers to report all suspected crimes or crime related incidents to police. I have been told that there may be information/intelligence on social media which has not been passed to the police and would request that any information/intelligence that is on your social media sites is passed to police with details of who has supplied it. This will help us build up a picture of what is happening, where and when it is taking place and those that are involved. It could also be the vital bit of evidence that might help solve a crime. We have been carrying out overt and covert patrols in the area and are also working with the local SaferNeighbourhoods Team to provide crime prevention advice to drivers. 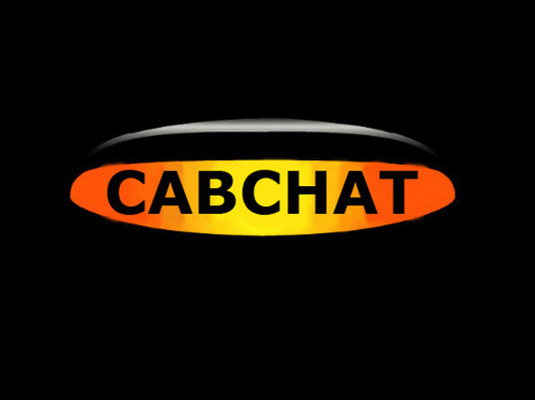 Again I would request your assistance in raising awareness so that drivers understand the key risks such as carrying money in the cab, leaving mobile phones or other property on show and leaving the cab. Some crime prevention measures that can be taken include refusing a job if you feel unsafe, keep doors and lockable screens shut, try not to leave the cab, if you feel something is not right drive away and contact police to report crimes or crime related incidents. You can now own a unique Prototype London Taxi offered on behalf on its late owner. The Metrocab was built by Henley Craft of Portsmouth and was first registered in 1970. After trials lasting around two years, it was displayed in the London Cab Company museum in South London. When the museum was dispersed it came to its current owner. The vehicle unused for about three years is likely to needsome recommissioning to seeing it running on the roads again. There were just two different prototype Metrocabs built and this particular taxi is number one. Yours for offers over £5,000! Verdi Requiem at the Royal Albert Hall finish time approx 22:15. Metric at o2 Forum Kentish Town finish time approx 22:30. Hothouse Flowers at the 02 Shepherds Bush Empire finish time approx 22:30. Lil Pump at the Brixton Academy Brixton finish time approx 22:30.